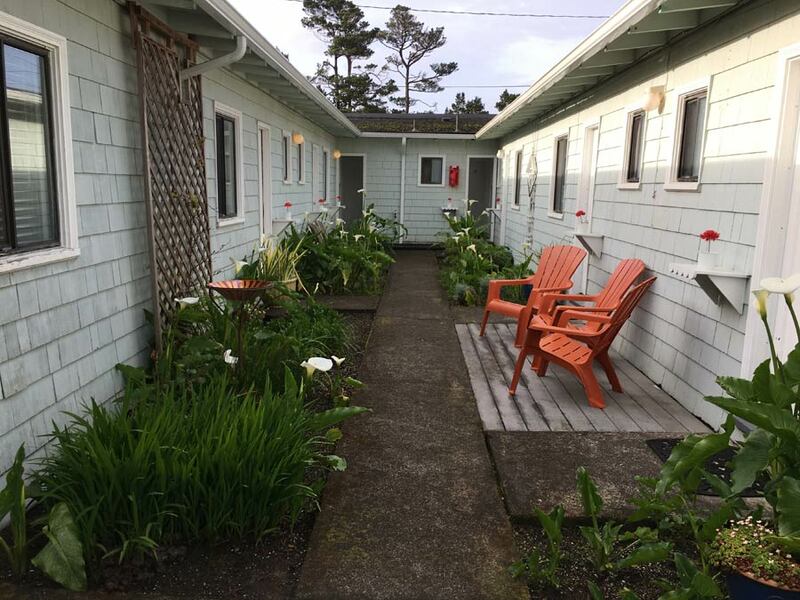 Built in 1946, the Spindrift Inn has been a landmark in Manzanita for more than 70 years. 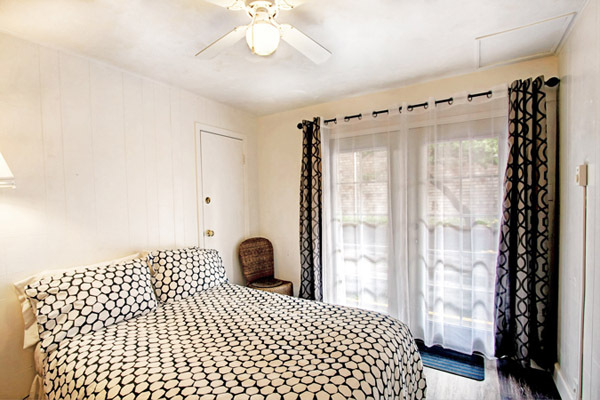 And while the rooms have been updated to include comfortable beds and contemporary living spaces, the quaint, historical charm can still be felt from the moment you walk through the front doors. 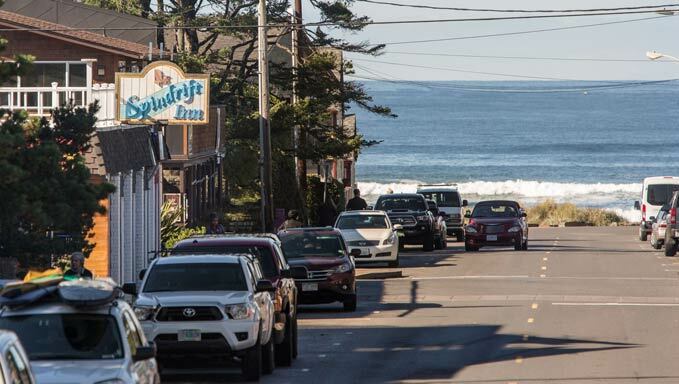 Spindrift Inn is located right in the heart of Manzanita only 2blocks from the Pacific Ocean. 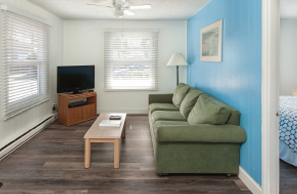 Step out the front doors right onto Laneda Avenue, where all the action happens. There is always something to do in Manzanita, whether it’s the charming Farmers Market, shopping the eclectic boutiques, craft stores and bakeries, or a hike to the top of Neahkahnie Mountain to observe the migrating Gray Whales. And don’t forget a peaceful stroll along the seven mile beach. 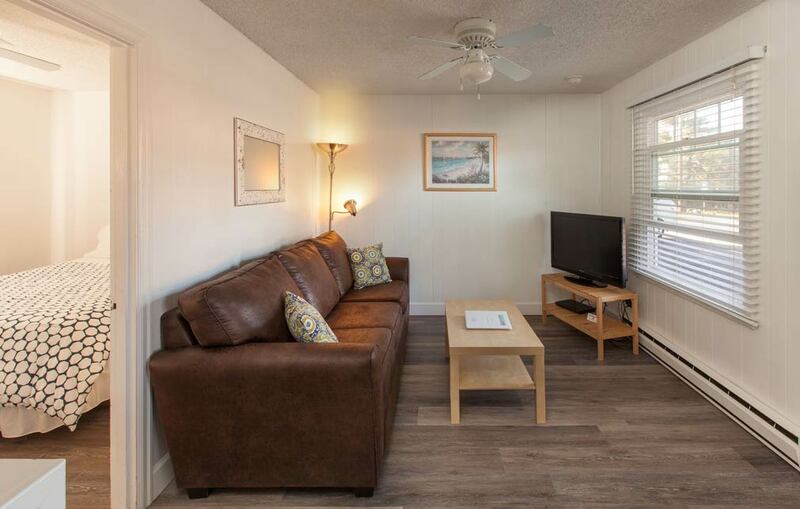 Manzanita Beach is a favorite for four-legged friends to run and stretch their legs, which is why we’ve made sure to have pet-friendly rooms in every shape and size. Most all our rooms open onto a luscious garden courtyard – the perfect respite to the city-life outside and a delightful opportunity to literally stop and smell the roses. Sit back in a sun chair and enjoy your favorite mystery novel, or just enjoy the sounds of seabirds laughing and playing in the sea breeze. 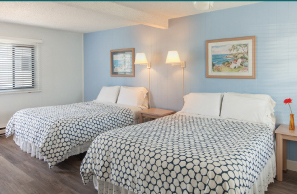 At Spindrift Inn, we pride ourselves on creating a memorable lodging experience without breaking the bank. 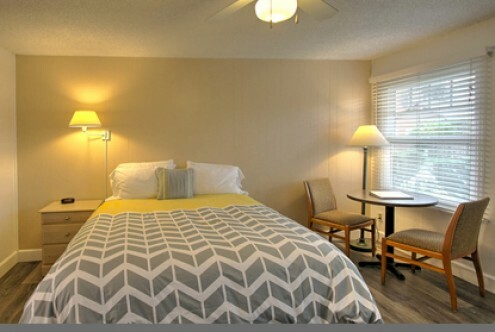 Our rooms are cozy and immaculately clean with a close attention for detail. Each room is a little different and a lot of fun. 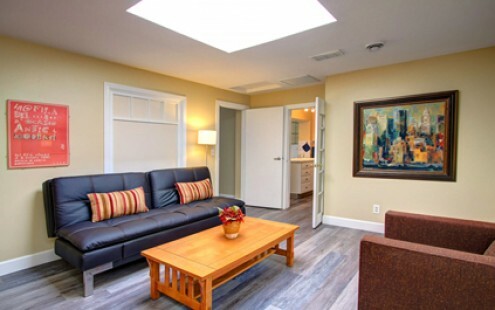 And, we are perfectly situated 2 blocks from the gorgeous Pacific Ocean and the right in the quaint coastal town of Manzanita so you never have to choose between an evening on the town or a stroll on the beach. (almost to the end of the block).